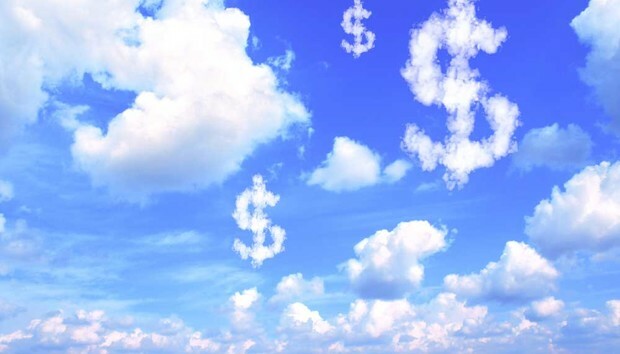 Why do Latin Americans pay more for cloud computing? Cloud computing was touted as the great playing-field leveler of the IT market. With its location independence and its ability to liberalise all aspect of computing, it should create complete liquidity of supply for resources such as processing power, storage and memory. Remember all those promises about how national borders are rendered meaningless? The new mobility of the means of production should, in theory, have created perfect free market conditions. The vendors of cloud services promised it would democratise the market. It hasn’t. Figures from a recent report by analyst the 451 Group suggest that the first claim of vendors is complete nonsense. Cloud computing doesn’t seem to have created a level playing field. Whether IT can ever ‘democratise’ anything is a matter we’ll get back to later. According to 451 Research’s latest Cloud Price Index, US buyers get the lowest prices in the world for cloud computing prices, while Europeans pay up to 19% more - to host the same applications. The premium is even higher for databases, platforms and storage than for virtual machines, according to 451 Research director Owen Rogers. So much for leveling the playing field. The discrepancy is far higher in developing regions, such as Latin America. Though this region has some of the world’s poorer nations and datacentre property costs might be accordingly low, the LatAm consumer pays the highest premiums in the world. “We found one provider charged more than twice the average US price for hosting in Latin America,” says Rogers. Though the global pricing discrepancies are inconsistent – one cloud provider offered an 11% discount for hosting in Europe compared to the US - the one constant seemed to be that LatAm gets the worst deal. Why is this and what can be done? Firstly, buyers need to be cannier. “The global market for cloud is complex and cloud buyers need to understand typical pricing to properly evaluate their options and negotiate with suppliers,” says Rogers. Latin America is deemed technologically immature compared to the US, Europe and APAC. The nine providers that were able to meet the specifications of the study comprise 90 per cent of the Latin American cloud market by revenue with US hyper-scale providers leading the way in their range of services and capacity for delivery. Nowhere else in the world have so few providers got so much control of a market. Given that the applications are already available and real delivery costs are based on datacentre property prices, bandwidth and local wages, it be reasonable to expect price parity in Latin America. But that’s not so, according to the Cloud Price Index. Latin America is the most expensive market it surveyed this quarter, charging up to 38 per cent more than the US for comparable applications. The Latin American cloud computing buyer has to negotiate the greatest variation in prices too. The most expensive provider charges 12 times more than the cheapest for one small application, according to the report. Why is the variation so high? Very few providers in this market are offering value-added services, indicating that the market is in its early stages of development. “We would expect that as the market develops, more consumers will demand those services from providers,” says Rogers. The dearth of locally-built datacentres is also putting a handbrake on the progress of the cloud services industry. To take the biggest country in the region as an example, Brazil’s import tariffs don’t help Latin America’s biggest IT market, according to analyst Anthony Miller at TechMarketview. A Macbook Pro that costs $1,500 in the US will cost $3,000 once it’s on sale in Rio de Janeiro. Having no major native server makers also that makes it expensive to build necessary infrastructure, says Miller. Surely, in the modern, software-defined IT industry, hardware should be a commodity. Given the hardware price differentials, would there be an opportunity for local assemblers to create the infrastructure? There is a very lively startup community in Sao Paolo, for example, so is there a gap in the market that they’re all missing? There is a huge cloud opportunity in the LatAm region, says Juan Manuel Moreno, cloud director at Telefónica Business Solutions. Yes, cloud penetration is lower than in other regions but that means anyone prepared to invest in the infrastructure will “accelerate faster”, according to Moreno. Infrastructure building and skills, areas which are relatively easily addressed by technology companies, are not the main obstacles, however. Local currencies, taxes, tariffs and exchange rates are creating much higher barriers. Telefónica is addressing this through two initiatives. The first one is a Virtual Data Centre service for six countries (Peru, Colombia, Chile, Argentina, Brazil and Mexico) which uses VMware software as a vehicle to move enterprises to the cloud. The second uses the open source software bundle OpenStack to create simple, affordable cloud servers and backup for the rest of the market. There will be an imbalance for some time, however.